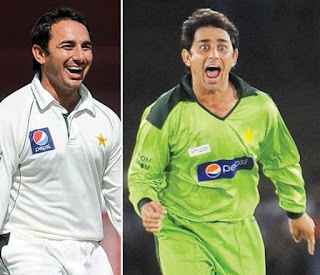 Pakistan's off-spinner Saeed Ajmal claimed nine wickets in the two Tests to round off his year with 50 wickets from eight matches. He is the highest wicket-taker in 2011 so far, with India’s Ishant Sharma placed second with 41 wickets from 11 matches. Earlier, Ajmal has moved to the number one slot in the new One Day International (ODI) bowler rankings released by the International Cricket Council (ICC). Ajmal is ranked eighth in the ICC Test bowlers’ rankings.